I can't believe it's already the second week of October. Down here in Houston, it's hard to keep track of fall since it's still balls hot out (although Houstonians are bundled in sweaters now that temperatures have gone down to the 80s instead of the 90s). While I should be knee-deep in pumpkin baking, I have yet to crack open a can of pumpkin (however, one is waiting for me in my pantry from last year). Nonetheless, I wanted to introduce you something I have been enjoying for several months now: Shirataki Noodles. 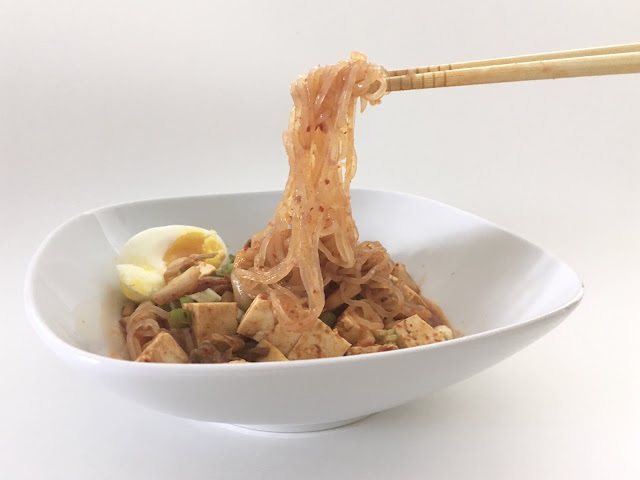 What are Shirataki noodles, you ask? They are very low calorie (20 calories per package) "noodles" made from a yam (konjac yam). They are chewy and gelatinous so they're not quite like real noodles made from flour but they're a suitable substitute (they're great in stir-fry, cold noodle dishes, soups, etc). And they're gluten free and contain no carbs and have a mild flavor so they work great in saucy dishes. They're basically miracle noodles. They can be found in the grocery store near the tofu section. They come packaged in water (like tofu) and should be drained and rinsed or even boiled. I found the best pairing for shirataki noodles in a cold Korean noodle dish: Bibim Noodles. It's a spicy, kimchi-filled dish that's great any time of year. And you can enjoy this dish mostly guilt-free with the addition of shirataki Noodles. 1. 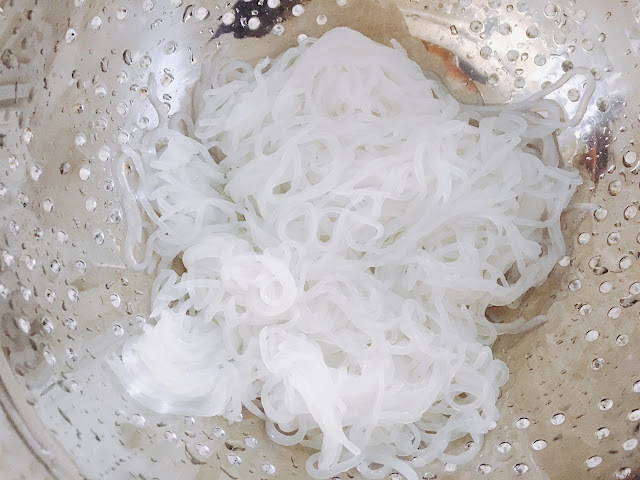 Drain and rinse shirataki noodles in colander. Set aside. 2. 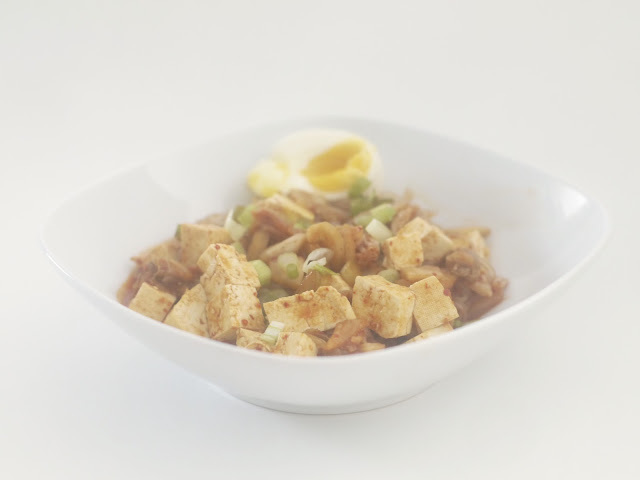 Mix gochujang, rice vinegar, soy sauce, brown sugar, sesame oil, kimchi and kimchi in a large bowl until well combined. 3. Mix in noodles into sauce until well coated with sauce. Then add toppings of choice and mix until well combined.